Running a hobby shop is difficult and to be able to take some time away can be even harder. That being said, many shops did take some time off last week to attend the 30th annual Industry Summit in Honolulu, Hawaii. Those who did were able to acquire invaluable information on how to run their shops even better while also enjoying a variety of memorable experiences thanks to Upper Deck and partners like Beckett Media, the NHL®, the NHLPA, GTS Distribution, Southern Hobby Supply, Magazine Exchange, Universal Distribution, Grosnor Distribution and more! Upper Deck hosted a private room to spend time with shop owners that was busy throughout the conference. 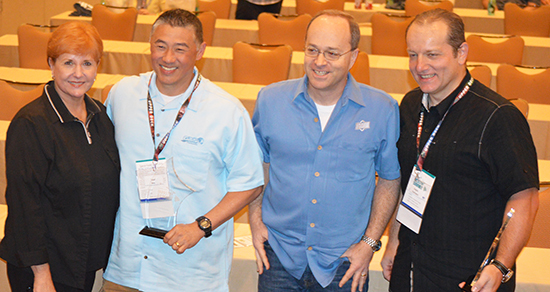 On the first day of the show, Upper Deck’s Vice President of Sales Mike Phillips recognized Angelo Exarhakos of Universal Distribution with the Partners in Progress Award. Lloyd Kee of GTS Distribution was also honored with the Partners in Progress Award by Janice Mabra of Tri Star. That afternoon Upper Deck invited dozens of retailers to spend time discussing the company’s new e-Pack platform. Upper Deck’s President Jason Masherah and the rest of the team in attendance took time to provide background on what led to the decision to launch this platform while answering questions from shops throughout. The outcome was incredibly positive as we were able to work together to develop a variety of strategies to intertwine the platform with hobby shops for their benefit. More will be shared on what came out of this session shortly. 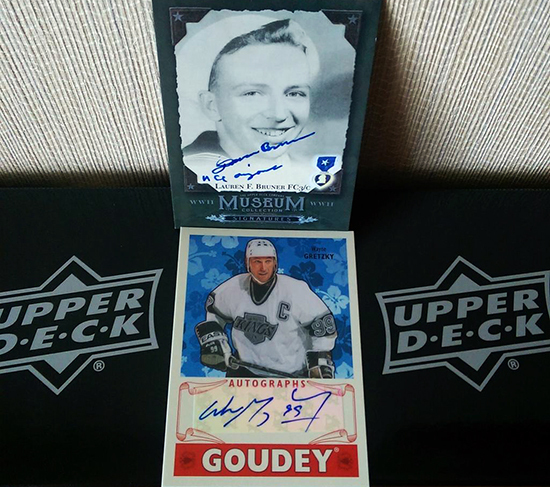 That evening, Upper Deck staff met with the team from the National Sports Collectors Convention and then attended a dinner with over a dozen Canadian hobby shops courtesy of Universal Distribution. We were able to talk further about e-Pack and other programs to improve the hobby and their business. We also shared some product with them as a thank you for the investment they made to attend the event. 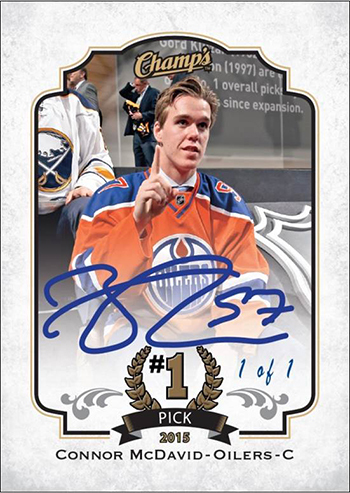 On Tuesday, Upper Deck took a significant amount of time to brainstorm with shops that morning on ideas to make the 2016-17 NHL® season as successful as this one. We received some great feedback like adding value to help with the exchange rate for Canadian skus, increased in-store promotions, cooperative social programs, and ways to celebrate the 100th Anniversary of the NHL®. That afternoon Upper Deck partnered with the NHL® and NHLPA for a sponsored lunch presentation for attendees. Dave McCarthy of the NHL® shared interesting metrics and statistics on the league’s fan base, teams and future events like the World Cup or Hockey and the Heritage Classic. Then Marty McQuaig from the NHLPA took the stage to talk about the incredible players in the league. 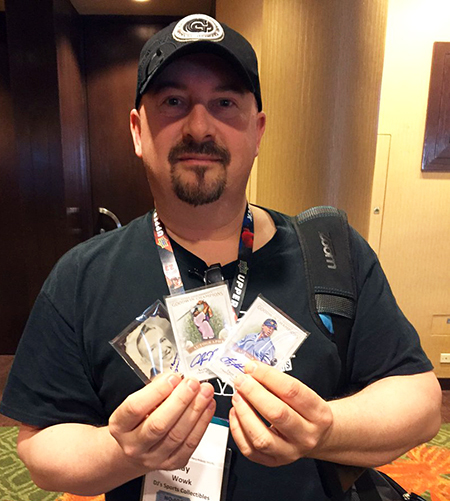 Upper Deck shared a variety of updates with attendees like upcoming releases, in-store events, collector education, goodwill programs, National Hockey Card Day and more. Upper Deck then hosted a special meeting for Certified Diamond Dealers to go through a full calendar of releases and upcoming marketing plans. 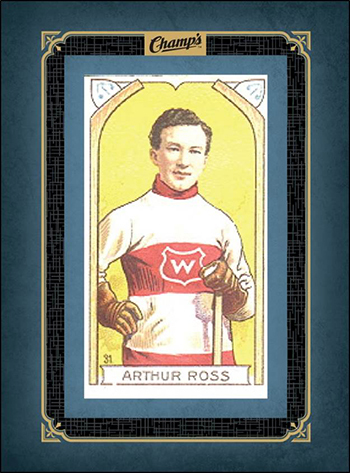 Hockey shops were excited to hear that Champ’s would be back this summer with 100% hard-signed autographs, framed vintage mini-cards, and a variety of quirky items that made the release a fan favourite. 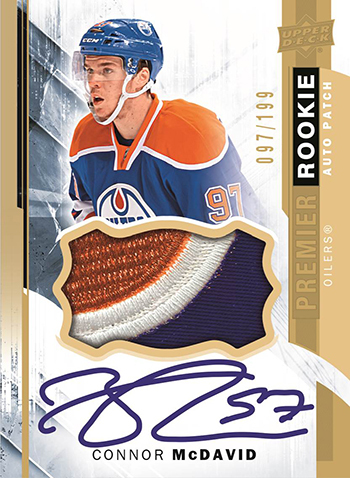 Shops also got a sneak preview of one of the stand-out releases of last season in NHL® Premier which will be back for 2015-16 with incredible game-used patch cards, gorgeous rookie cards and brand-new Draft Day cap signed booklet cards. 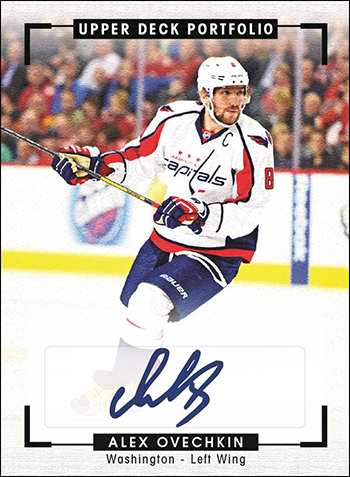 Upper Deck Portfolio is a hockey product available at a reasonable pack price late in the season that focuses on incredible photography, update cards and XRC Rookie Redemptions for future stars of the 2016-17 class. One of the releases that all the shops were excited to hear about was 2016 Goodwin Champions. 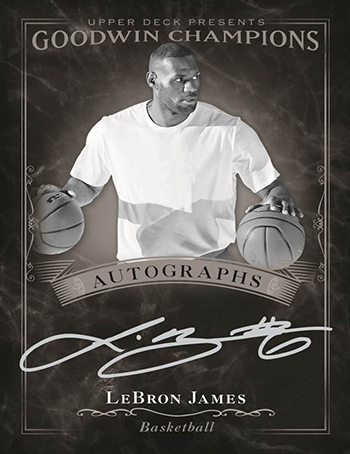 Shops really liked the solid card imagery, the addition of over sized cut signatures to the product (with regular sized cut signatures also returning), the Museum Collection cards for World War II and many of the other fun elements that keep this product a top seller every year. 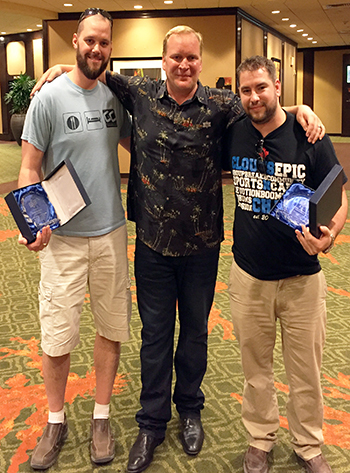 Finally Upper Deck took the time out to recognize the team from Clouts’N’Chara with the Steve James Award for their tireless efforts at engaging customers with interactive programs and improving the hobby for future generations. Upper Deck then surprised guests with a special black preview pack of 2016 Goodwin Champions. 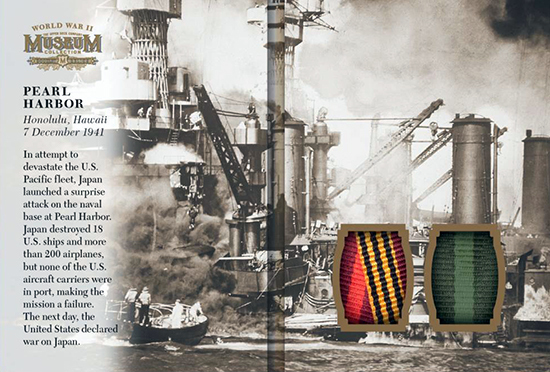 Every pack included a hard-signed autograph of an American hero in Lauren Bruner who is the World War II veteran that was the second to last person to leave the USS Arizona before the ship sank in the attack on Pearl Harbor. 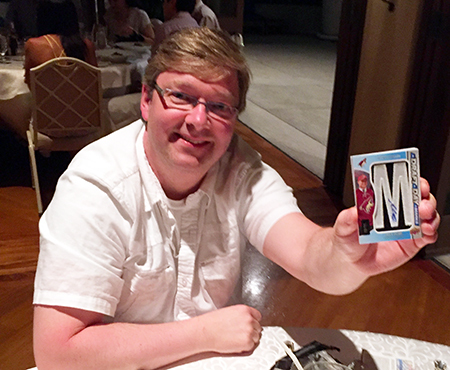 Also enclosed were 1-2 additional autographs numbered to 15 or less of top stars with a fun Hawaiian theme as a thank you for making the investment in coming to the conference. 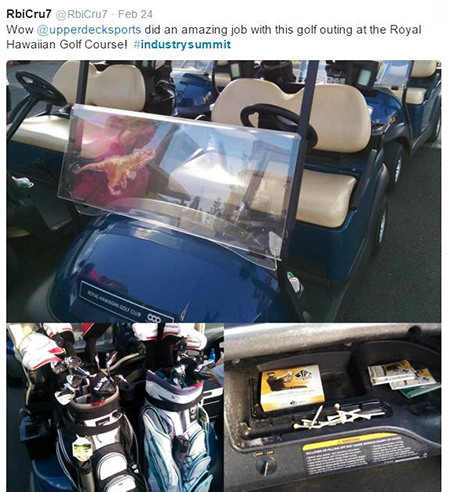 On Wednesday, Upper Deck sponsored a golf tournament that attendees would simply describe as incredible. 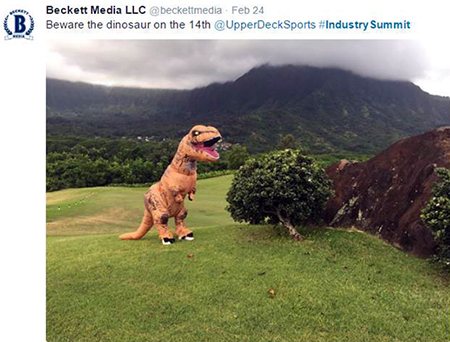 It took place at the Royal Hawaiian Golf Club known affectionately as “Jurassic Park” and as Upper Deck produced an incredible set of Dinosaur cards this season, we had plenty of fun with that. Throughout the beautiful course there were decorations with a Jurassic theme where dinosaur and golf packs were available. 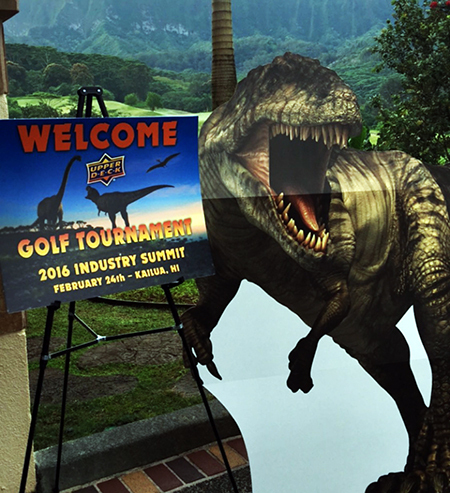 The best part came however when golfers were surprised by an actual dinosaur on the course, hunting for tasty hobby shop owners. 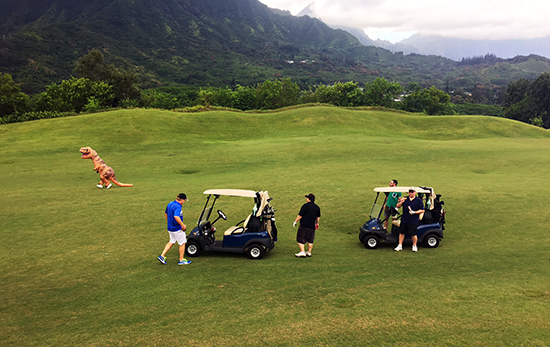 Others who didn’t golf were treated to an island tour sponsored by our friends at GTS Distribution. 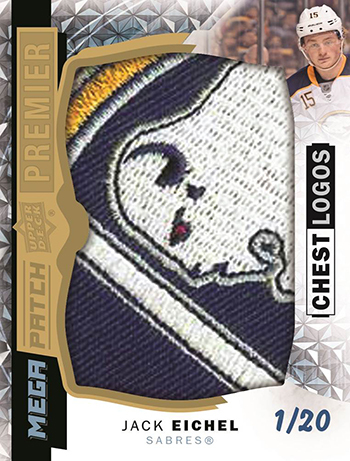 Upper Deck had a surprise for them too. 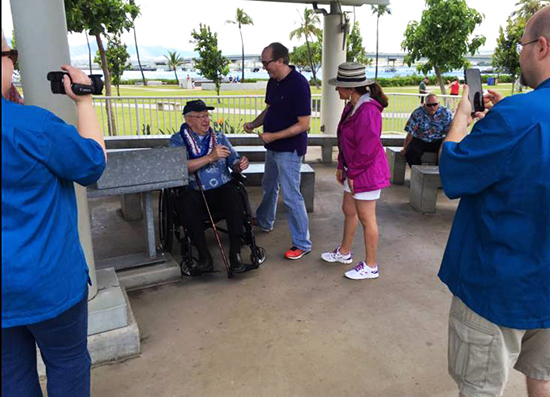 When they got to the Pearl Harbor portion of the tour, guests were treated to a meet and greet with Lauren Bruner, the World War II veteran who will be appearing in the Goodwin Champions set this summer. Lauren took time to share memories with guests that brought history to life and very much resonated with those in attendance. Throughout the week Upper Deck also took time to visit local card shops sharing goodies with them and learning about their businesses. For shops that weren’t able to attend, stay tuned for more updates from the show that will help their businesses grow and prosper in 2016 and beyond. Preview product shown for demonstration purposes only. Set content, designs and imagery subject to change without further notice.